On Friday, September 26, a judge in Philadelphia vacated 59 different drug convictions with the blessing of the District Attorney's office. As The Inquirer noted, the court moved briskly, taking no more than a minute per case, in "an assembly-line treatment of cases, which the courts have perfected after years of police scandals." The cause? All of these cases flowed from arrests made by former Officer Jeffrey Walker during the period of 2004 to 2013. In May 2013, Walker was arrested by the FBI sting after he was caught planting drugs in a suspect's car, stealing keys, and then burglarizing his house. Walker promptly began cooperating, which has helped turn up six other dirty cops, Thomas Liciardello, Brian Reynolds, Michael Spicer, Perry Betts, Linwood Norman, and John Speiser. Walker is awaiting sentencing. This is, as the underlying article points out, not the City of Brotherly Love's first problem with corrupt officers, and mass vacaturs of convictions. 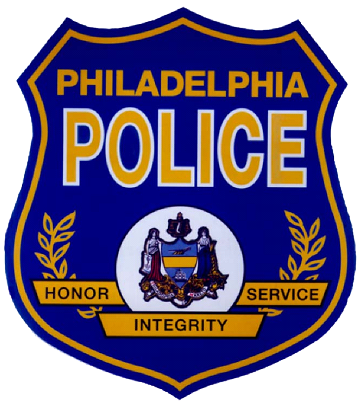 Which leads to the obvious question, what is wrong with the Philadelphia Police Department's supervisors? The fallout from Walker's arrest and acknowledgement of wrongdoing will surely include large payouts to the folks he caused to be locked up. Since Philly is self-insured, that's a direct hit on the public fisc. Yet, there will likely be little change in the management and supervision of the officers and detectives on the street. If history is our guide, it is only a matter of time before Philly is facing another, similar problem. That is because large police forces see the civil consequences of corruption and misconduct as an annoyance, a cost of doing business, that has to be accounted for in the municipal ledgers. They would be better served if they recognized it as evidence of rot and decay, symptoms of problems that require immediate attention. In NYC, where I practice, officers understand full well that there are almost never any repercussions from being sued. Even if a jury finds the officers liable for beating people up, making arrests without probable cause, lying to prosecutors, judges, and juries, and withholding evidence, or mutely standing by and watching their colleagues engage in this conduct, the officers have nothing to fear. They will not be disciplined and their records will remain unblemished. But the Walker episode is still a useful reminder to those who want to believe otherwise that police officers can and do engage in misconduct, and that it happens far more frequently than we would care to admit. DWB is a "Measurable Phenomenon"